Your corporate relocation program is only as good as the vendor/partners you chose. Pickens-Kane will become an extension of your relocation department acting in the best interest of your transferee and family, but at the same time always keeping in mind who is paying the invoice: The Corporate Client. We'll assign a Move Coordinator whose primary responsibility is to serve as your transferee's advocate throughout the entire move. Your Move Coordinator will provide support and lead your transferee through the entire process including move procedures and corporate policy. The Move Coordinator serves as the "single-point-of-contact" through the entire move including any post-move issues that need to be addressed. It's one thing to promote the concept of self-haul; it's another to be able to deliver this quality service on a consistent basis. Pickens-Kane has one of the largest fleets in the Allied Van Lines system. Let us put our award winning fleet to work servicing your moving needs. Each client company and individual transferee has unique needs. We pride ourselves on our ability to stay in close contact with our corporate clients and listen to individual transferees in order to anticipate and meet their changing needs. At Pickens-Kane, we customize our corporate relocation service offerings around your needs rather than attempt to fit you into a pre-designed system. One size doesn't fit all! Pickens-Kane's computerized move management system automates many of the time-consuming tasks involved in organizing a move. This allows our Move Coordinators to spend more time effectively communicating with our customers. The Allied ALLSTAR global positioning system allows us to track the exact position of our trucks and communicate via email and cell phone with our drivers. You'll have peace-of-mind knowing your goods are safely in transit. The business environment in which we operate dictates to us: do it faster, better and more cost-effective than our competition. Pickens-Kane can structure a service/pricing program that can save you time and money without compromising the quality of service. Simply stated, we deliver value for the dollars you spend on your corporate relocation program. 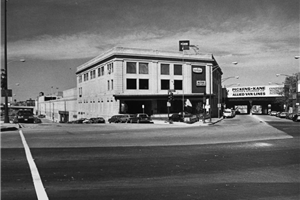 Pickens-Kane provides quality service on interstate, intrastate, local and international movement of household goods for the National Account market. For more information about corporate relocation, fill out our quick and easy online quote form right now. 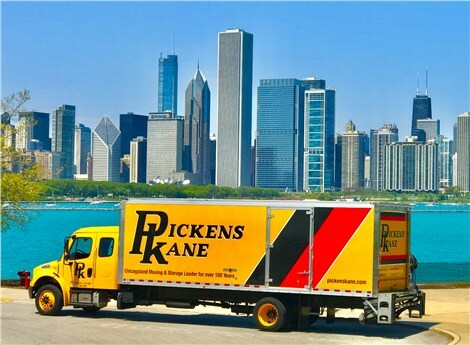 Pickens-Kane has the solutions for corporate relocation Chicago and the surrounding suburbs depend on for superior service.